Experience it all - sporting events, fine food, golfing and a productive work trip - when staying at this newly opened and luxurious Kew hotel. Located near the freeway and public transportation, exploring the exciting area attractions is a breeze. Just a short commute away from this full-service Melbourne hotel, you'll find AAMI Park, Kew Junction, Rod Laver Arena and Studley Park Boathouse. To get a taste of the local culture, be sure to attend events like the Kooyong Classic, Australian Open and British Lions Tour 2013 as well as other sporting events at nearby arenas, such as Kooyong Stadium and the Melbourne Cricket Ground. Just two kilometers from Yarra Bend Park, you can explore the largest area of natural bushland in inner Melbourne while staying at this Kew hotel. Delight in the relaxation of the babbling 12-kilometer Yarra River, two golf courses and many cycling and walking trails. Today's savvy business traveler demands more from his or her stay, and we're ready to make sure you're equipped with everything you need. From high-speed Internet access and a desk to executive rooms and an on-site business center, the amenities at this 112-room hotel in Kew will ensure a productive trip. 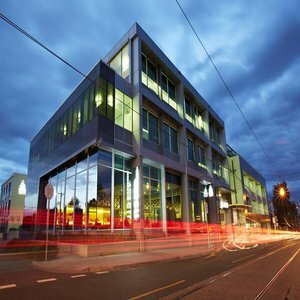 Located near the Melbourne Central Business District, you can easily commute to meetings. From the exquisite onsite amenities to the thoughtful extra touches in the contemporary, spacious guestrooms, you're sure to feel right at home. Technology and modern design are at the focal point of this family friendly hotel in Australia - each room offers a 42-inch or larger LED television and an Apple iMac mini that are integrated into our guest information and media center. With delicious modern cuisine and an extensive wine and beer selection at the onsite 115 Grill & Brewhouse as well as event, wedding and meeting space, it's our goal go above and beyond your expectations. Make a reservation at the BEST WESTERN PREMIER Hotel 115 Kew today!